The water reservoir was recently rediscovered during a renovation of Buffalo Bayou Park. Houston is the state’s biggest city and one of its most diverse. Exploring all it has to offer will take you a very long time. And when you think you have discovered everything Houston has to offer above ground, just head below. There, the city unveils yet another extraordinary experience. The Buffalo Bayou Park Cistern opened in May 2016. The underground relic is the size of one-and-a-half football fields and houses 221 concrete columns. So what is this place exactly? It’s an 87,500-square-foot underground drinking water reservoir. It was built in 1926 for the City of Houston and was rediscovered during the recent $58 million Buffalo Bayou Park project. The Cistern was slated to be torn down to make way for parking, but project coordinators walked inside, took a look at the space and knew immediately it was too beautiful to destroy. Reminiscent of the ancient Roman cisterns under Istanbul, the space was carefully renovated and is now open to the public. The way light bounces off the water on the floor and sound echoes in the large concrete structure, walking underground into the Cistern is an almost mystical experience. To visit, you must reserve a tour of the Cistern. Guides highlight its history and architecture. The 30-minute tours are free on Thursdays. Fridays and Sundays they are $5 each. Check the event schedule to find out whether the Cistern is currently housing an art installation. Will U.S. Foreign Policy Change If Rex Tillerson Leaves The State Department? 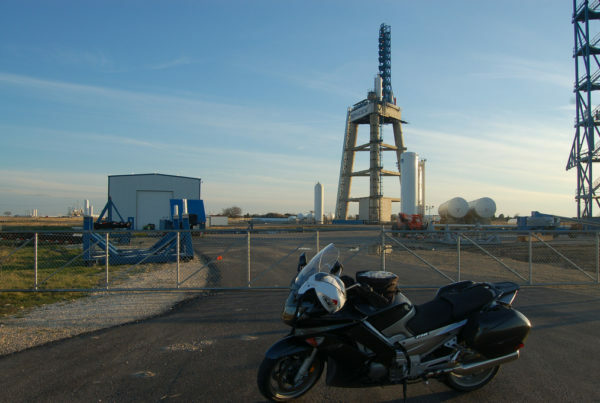 What’s The Holdup At Texas’ First Spaceport? A Flier, A Hoops Star, A Steer: What Is A Maverick?